President Fitzhugh swears to crush a dangerous underground militia and a movement toward religious fanaticism. After a failed assassination attempt he realizes his good intentions have left the US unprotected and helped set the stage for a dangerous totalitarian regime. He joins forces with a militia spy and forces journalist Buck Williams to help him. 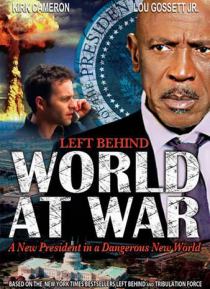 What Buck and his secret Tribulation Force be… lieves seems too extreme to be true: the prophesied end of America and World War III.